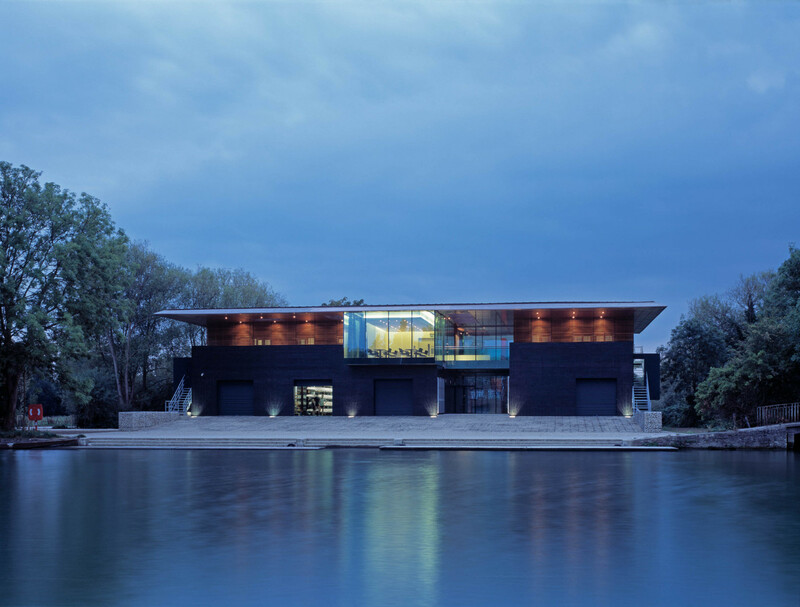 The RIBA Award-winning University College boathouse has become an iconic building on the banks of the Thames. 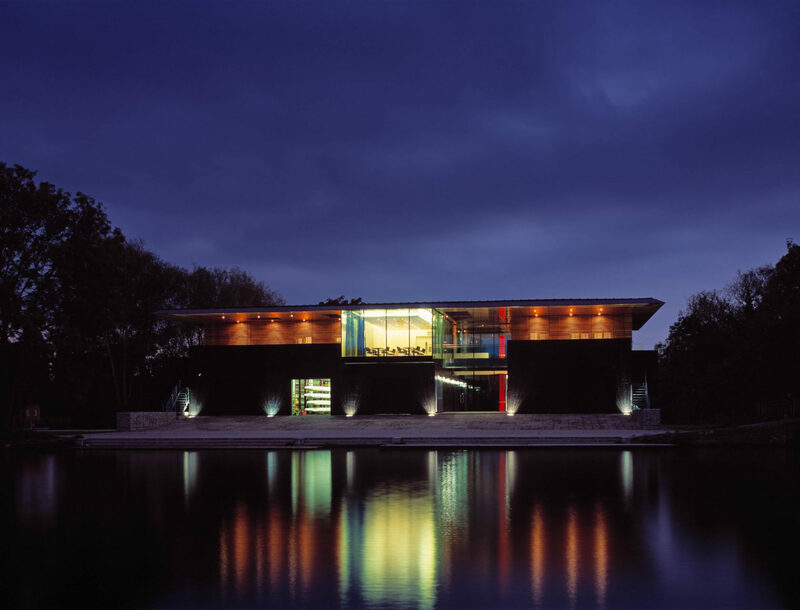 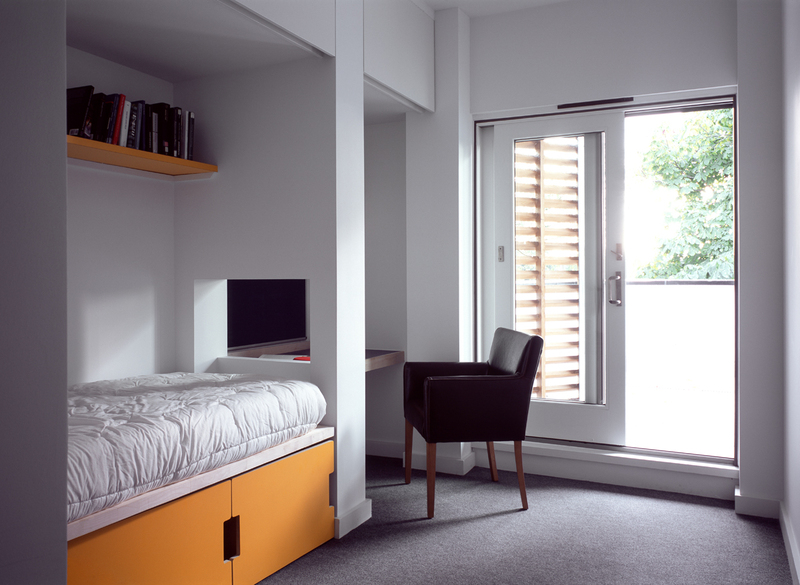 It replaces an earlier boathouse, and contains rowing and social facilities as well as residential accommodation. 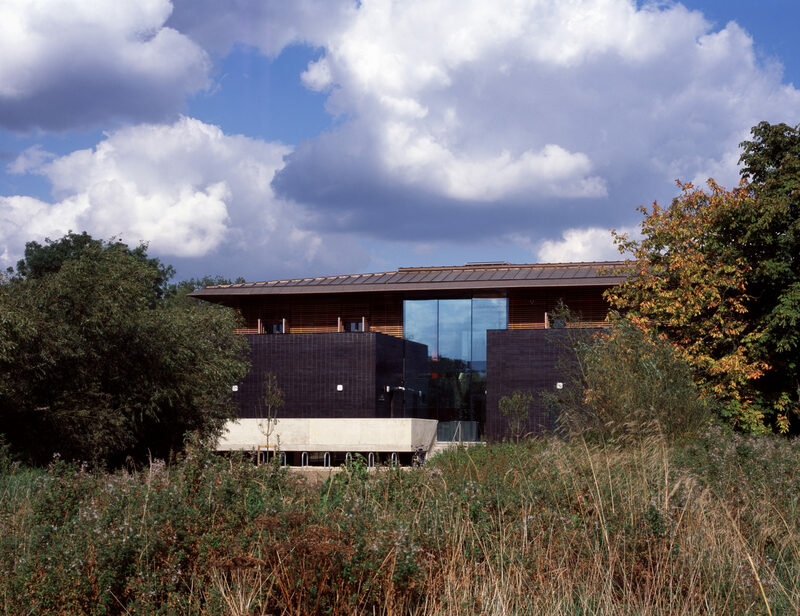 The building was the subject of lengthy planning negotiations, and successfully tackles issues including building on a flood plain and protecting wetland habitats. 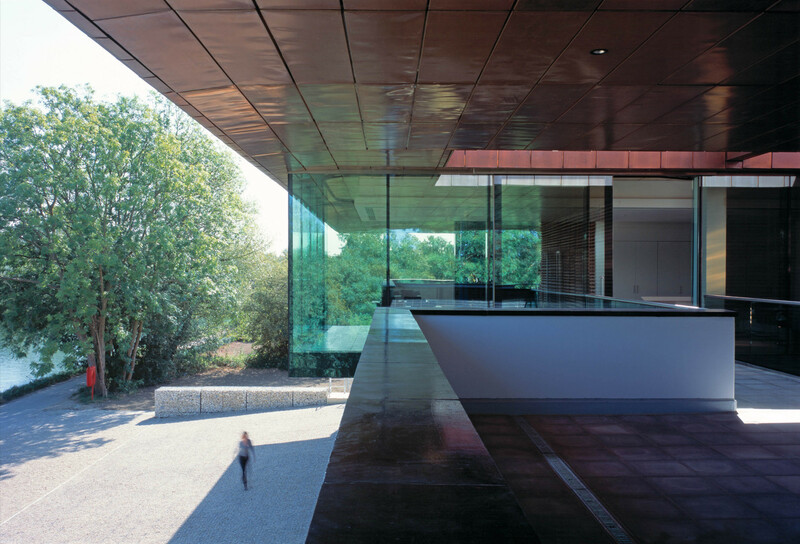 Rowing and the riverside location were key influences: the long copper roof suggests the keel of an upturned boat, and cuts through the sky like an oar through water. 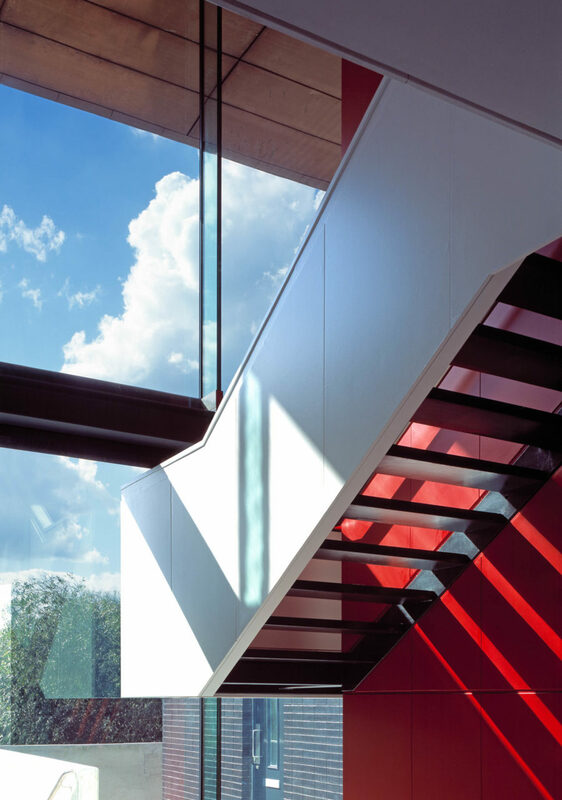 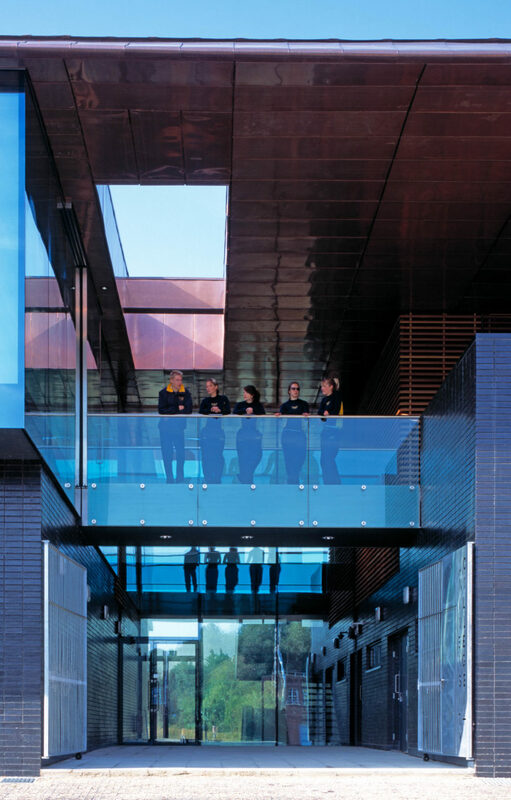 Deep eaves provide shelter for rowers and spectators, and carefully positioned lightwells bring daylight into the heart of the building. 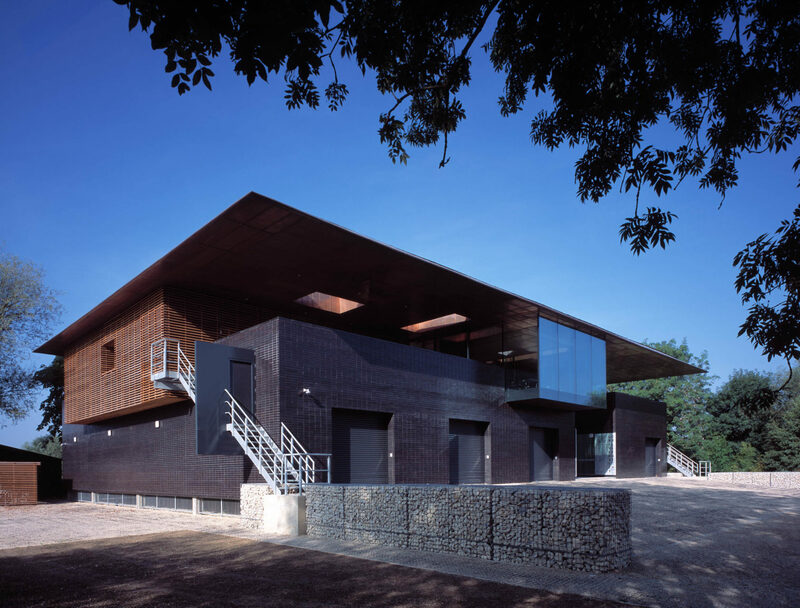 At ground floor, brick offers structural strength and security, and contrasts with the lightness of the roof. 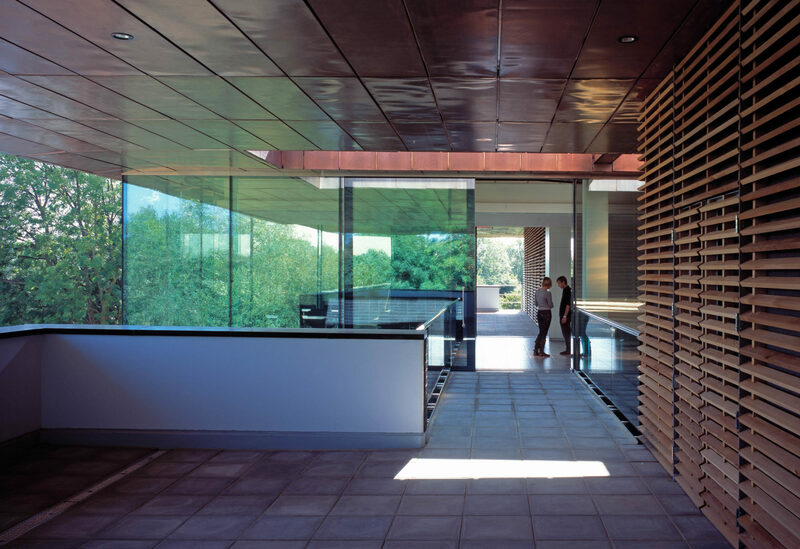 A central void brings light and views of the surrounding landscape into the core, and creates an airy circulation space. 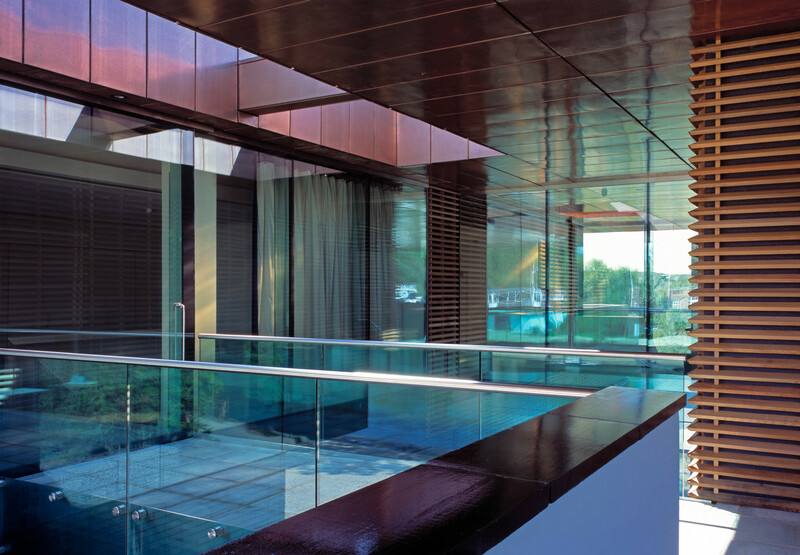 The glazed clubroom on the first floor offers views of the river and events taking place below.